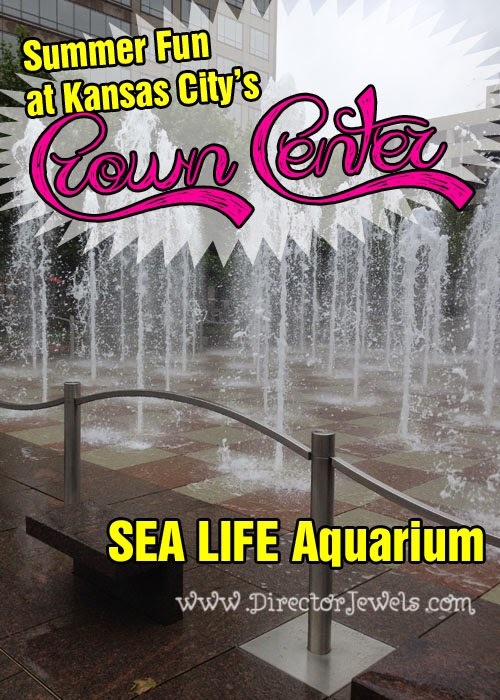 Disclosure: I was invited to a press event for SEA LIFE Kansas City, which included admission tickets to the attraction. I received no other compensation and all views expressed are my own. 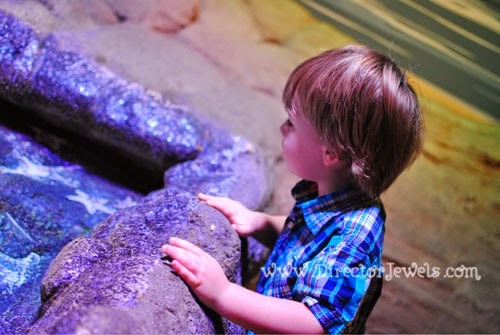 We took Lincoln to SEA LIFE for his third birthday earlier this year, and had such fun that when I was offered a chance to bring the kids for a blogger breakfast and tour of the aquarium plus a visit to LEGOLAND Discovery Center, there was no way I could say no! Lincoln and Addie were both really excited to "go see the fishes," so we braved rush hour traffic and a deluge of rain to attend the event. 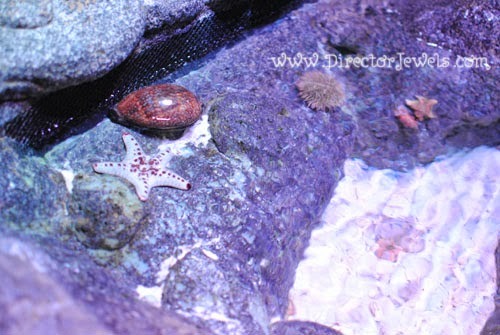 The Interactive Rockpool is one of my favorite sections of the aquarium. 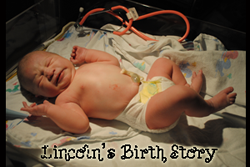 Lincoln was (as usual) rushing through the attraction at top speed, but he stopped when he encountered the chance to reach in and touch the water. 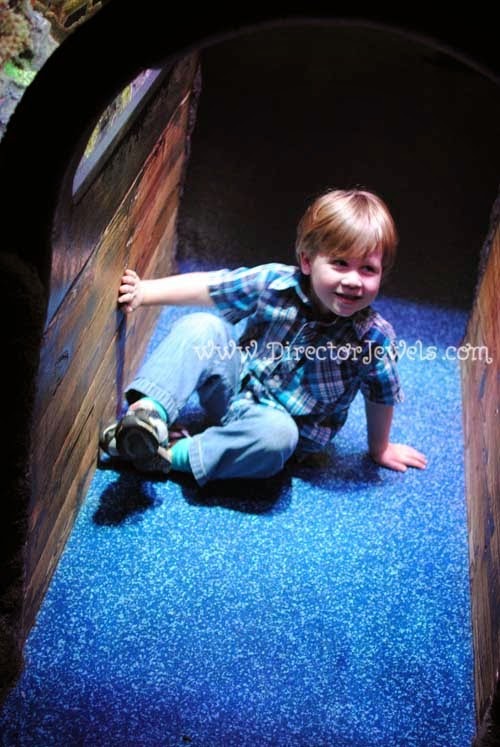 He was a little shy about it this time around, and didn't want to touch the starfish or other creatures at first. Eventually, he warmed up to the idea and stroked a starfish. I think he will continue to enjoy this more and more each time we visit. He said: "this fish! He's talking to me! Hi fish!" We were able to tour the facility without a large crowd, which was really nice! Several employees said hi to us as we made our way through the tanks and tunnels, and one even pointed out to us an octopus that we certainly would have missed otherwise - it was snoozing on the side of a tank! 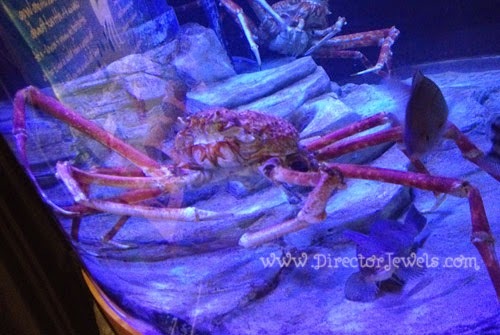 Crazy MEGA crab in the Claws exhibit! 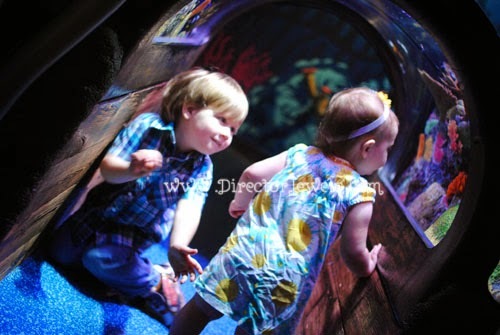 Another highlight of the aquarium is a tunnel that is sized just right for little ones to stand beneath as they watch the familiar fish swimming around and above them. My kids wanted to stay in the tunnel all day, but we had more things to do! 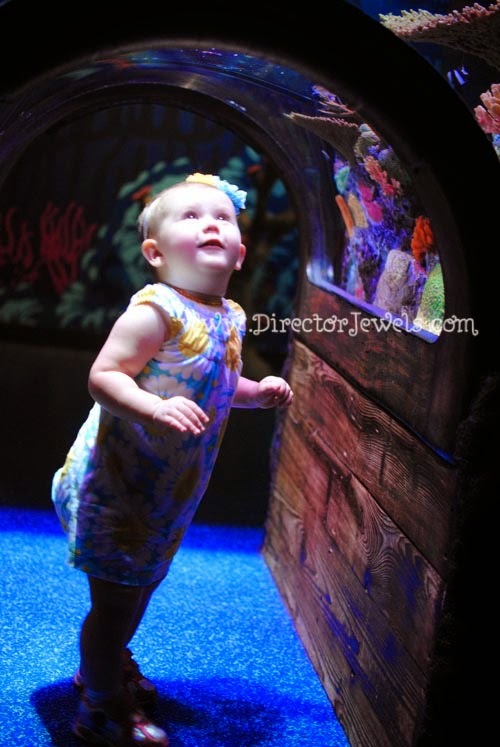 There are a lot of fun things going on at SEA LIFE this summer, so whether you live in Kansas City or are planning a visit here, you can find something fun for your family! 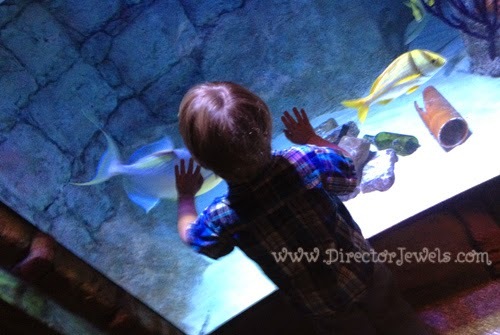 SEA LIFE Aquarium Kansas City is kicking off its first annual SEA LIFE Adventurers Summer Camp. SEA LIFE Adventurers Summer Camp will take kids on an enthralling 5-day journey, learning about the various sea creatures inside the aquarium and live a day in the life of a SEA LIFE Aquarist. 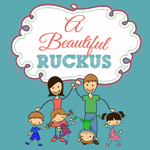 Each day will have a different educational focus that involves games, crafts and educational sessions. 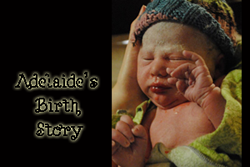 Plus, each participant will receive a free Annual Pass to SEA LIFE Aquarium Kansas City. Did you know more than 10 million sharks are killed annually for their fins? 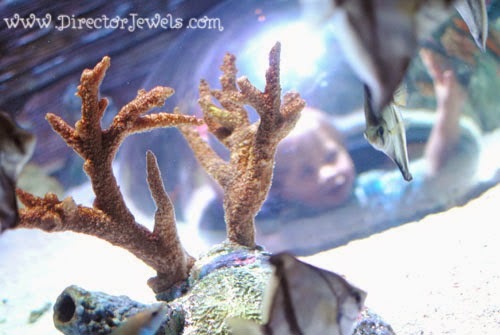 To help stop this practice SEA LIFE Aquarium Kansas City has partnered with Henley Aquatic Center in Independence, Missouri, to create the first annual Fin-A-Thon that will be held on Friday, August 8th, 2014. People of all ages are invited to participate in this fin-tastic event to help raise money for WildAid to assist in their initiative against shark finning. Munching some apple slices and muffins at the Blogger Breakfast! 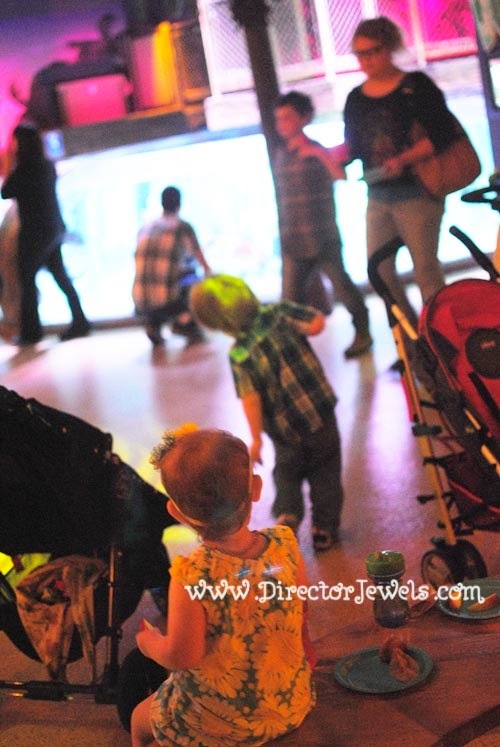 Stop by SEA LIFE Kansas City's website for more info on these upcoming events! Disclosure: Thanks to SEA LIFE for inviting me to this event! I received no other compensation and all views expressed are my own. For more information, you can read my Disclosure Policy.